When facing gambits the most important thing is not to panic, a feeling usually induced by lack of knowledge. Keep calm, learn the antidotes and face the aggression with renewed confidence. This DVD, ideal for players up to 2200 level, will help you to do just that. Andrew Martin is an English chess player with the title of International Master. He has won various national and international tournaments and was a commentator on the chess world championship between Kasparov and Kramnik in 2000. He is known as a professional chess teacher and head trainer of the English youth team. 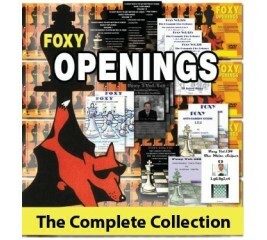 He is a chess columnist, an author of chess books and the author of various instructional videos. He was the publisher of the series Trends Publications. 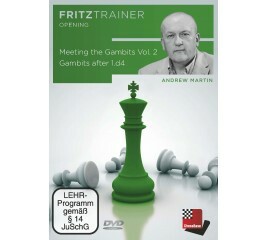 Andrew Martin has recorded extensively for Chessbase since 2004. 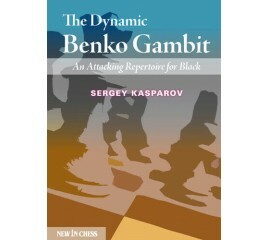 The Benko gambit is the ideal way to fight and seize the initiative as Black. Grandmaster Perunovic revisited all the modern lines and provided unbiased coverage of the more recent ideas, the most important being the delay of the recapture of a6. 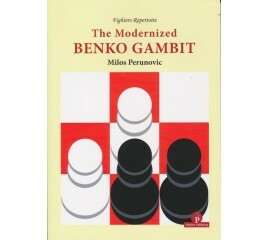 He found and tested in practical play, many new but still typical Benko manoeuvres. If you wanna surprise the 1. d4 player, this book and opening will be your perfect guide! The Benko is a powerful weapon in any player’s Black repertoire. However, many white players, fearing black activity and compensation, decide to avoid it altogether before Black has the chance to sacrifice his pawn. 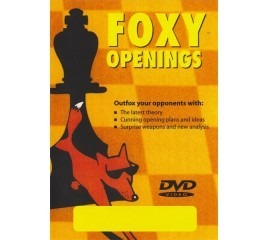 This DVD offers a complete repertoire for black players after 1.d4 in the case that White avoids the move 2.c4 or after 2.c4 c5 avoids the move 3.d5. 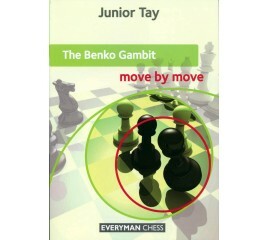 The Benko Gambit is a great opening for those who like active play. Black sacrifices a pawn in order to activate his pieces on the queenside, and generally gains enduring pressure. 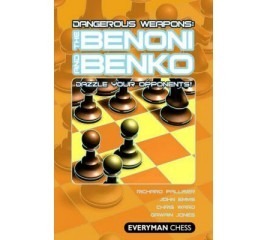 In this book, four renowned opening experts get together to take a revolutionary look at the Benoni, the Benko and all their associated variations. Instead of traveling down well-trodden and analyzed paths, they concentrate on fresh or little-explored variations, selecting a wealth of 'dangerous' options for both colors. Whether playing White or Black, a study of this book will leave you confident and fully-armed, and your opponents running for cover! 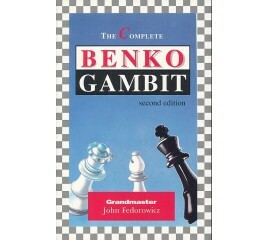 Grandmaster John Fedorowicz is the world's foremost proponent and expert on the dynamic Benko Gambit. 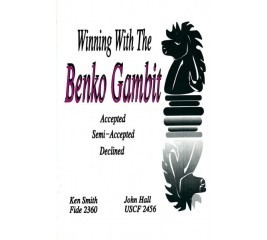 First developed into a coherent system by Grandmaster Pal Benko in the 1960's, this book examines the Benko Gambit in unparalleled depth providing both the White and Black players with original analysis. The Benko gambit is one of the sharpest answers Black can employ against 1.d4, sacrificing a pawn very early in the opening to obtain a temporary initiative in the center and permanent pressure on the queenside. And that is exactly why any respectable 1. d4 player should have a solid system prepared against this wild gambit! 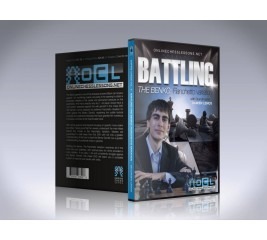 In this chess DVD GM Damien Lemos dissects his preferred Fianchetto Variation for white against the Benko Gambit, explaining the subtle tactical nuances and positional intricacies that have granted him numerous impressive victories at the Grandmaster level. 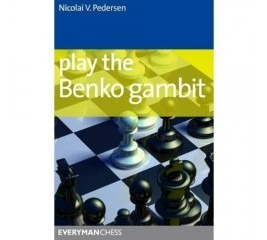 Martin describes the main themes and ideas of the Gambit and gives sound guide lines, so that any one who wants to play for the initiative with Black and play the Benko Gambit, will be very well equipped.